Your flash drive can be so much more with the Tango Bottle Opener Flash Drive. This is the idea corporate gift as it is very handy and practical. Your customers will surely take this personalised item anywhere with them and will find a lot of use for it. 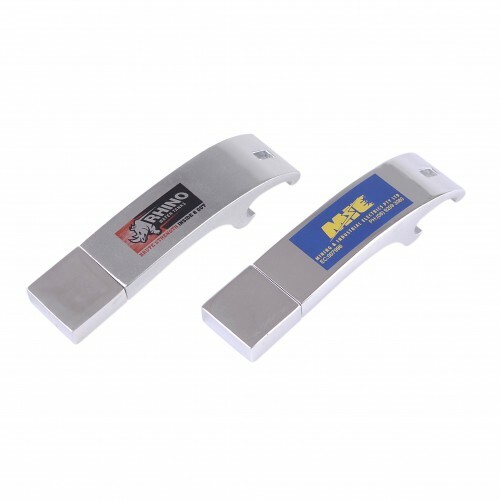 You can be sure that your logo will be well represented with this customised flash drive. 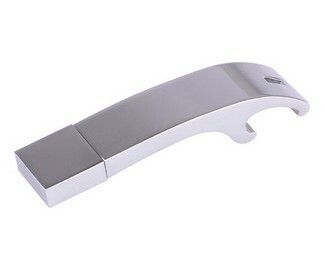 This printed flash drive measuresﾠ70x16x8mm and comes in the colour Silver. Storage capacities to choose from are 1GB/2GB/4GB and 16GB. Our price for each of this branded flash drive includes a one colour one side logo print and the print set up cost. Your company or product information can be uploaded to the printed flash drive for free up to a 150MB file size. Our Promo flashdrives standard turnaround is 2 weeks from art approval. Faster turnaround is available, see our 3day printed USB section. Prices do not include GST. Free delivery with standard 2 working week production orders. Deliveries can be made to all states in Australia including NSW VIC QLD ACT SA WA NT . 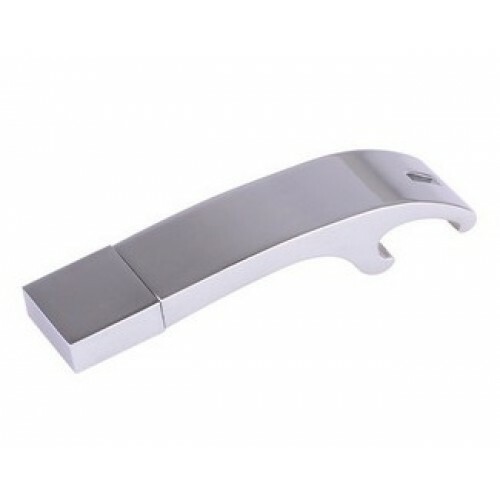 To buy this flash drive branded with your logo why don't you ask us by picking up the phone to call us or simply hit the enquire button to get in touch with us for a free quote and a free mock up.